Dr. McGarity is a native of Honolulu, Hawaii, and as the son of an United States Air Force pilot, he had the unique opportunity to live in many places. Dr. McGarity has been serving the mid-Missouri area as an ophthalmologist since 2003. He is board-certified and has performed thousands of surgeries including Advanced Technology Cataract Surgery™ (phacoemulsification) and laser refractive surgery to correct vision disturbances. At our practice in Columbia, Missouri, we have performed more than 5500 LASIK surgeries, and patients will benefit from Dr. McGarity’s extensive medical training and personal approach to vision correction. Dr. McGarity has been serving the mid-Missouri area since 2003, during which time he has provided medical and surgical eye care to thousands of patients. Dr. McGarity has been located in Columbia since the beginning of his professional career. If you have concerns before or after your procedure, you will be able to talk to Dr. McGarity or his staff. All patients receive pachymeter (cornea thickness), topography (eye map), and WaveScan (customized for you) testing. If more than one evaluation is necessary, there is no extra charge. We want to make sure your eyes are in perfect shape before your procedure. Dr. McGarity offers the newest and best possible surgical environment. A nurse is assigned to the procedure room to simply monitor humidity and sterility of instruments. We don’t take risks with your vision. Dr. McGarity uses the most advanced technology for his surgical procedures. 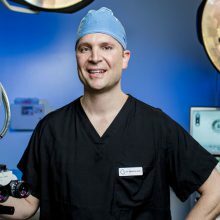 He uses the Intralase FS Laser and VISX® Star S4™ laser for iLASIK and PRK, which is FDA approved for the widest range of treatment for nearsightedness, farsightedness, and astigmatism. In conjunction with the VISX® laser, we use the WaveScan WaveFront™ Wavescan System which is the most advanced system on the market providing the Advanced CustomVue™ iLASIK procedure. We are the only practice in a 90 mile radius of Columbia, MO to provide the iLASIK procedure. Cataract surgery patients also have access to the latest technology. During pre-operative testing ophthalmic biometry by LenStar® is performed to precisely calculate the implant required. Another recent addition was the Barrett Toric Planning Software which increases the accuracy of Advanced Toric IOLs and Multifocal IOLs. Advanced Technology Cataract Surgery™ can include premium lens implants that help reduce your dependence on glasses after your procedure. Also, we added the Nidek OPD Scan 3® wavefront analyzer and iVUE® OCT tomographer to further evaluate the health of your eyes. Payment may be made using cash, check, Visa®, MasterCard® or Discover®. We also have financing available through CareCredit® with low monthly payments and zero percent financing. That’s why we perform comprehensive evaluations and use state-of-the-art technology. Tracy is our Office Manager and a resident of Booneville. Originally from St. Louis, she joined our practice over 20 years ago. 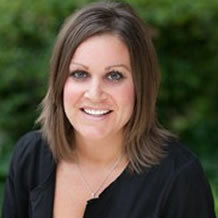 Meredith is our Clinical Manager, and was born and raised in mid-Missouri. 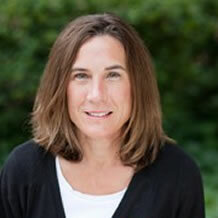 She currently resides in Columbia and brings over 10 years of experience in Ophthalmology. 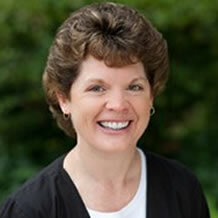 A mid-Missouri native, Kathy has worked in our practice for over 20 years and currently resides in Auxvasse. Layla is our Lasik Coordinator. 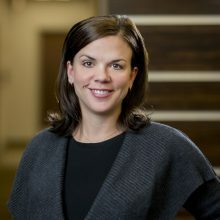 She was born and raised in Columbia, and joined our practice in 2016. Melanie Bryan received her COA in 2015, and is our Ocular Surface and Dry Eye Coordinator. Cayla joined our practice in 2016, and brings a wealth of knowledge and experience to Restoration Eye Care. Cayla coordinates our Glaucoma and YAG Laser Treatments.